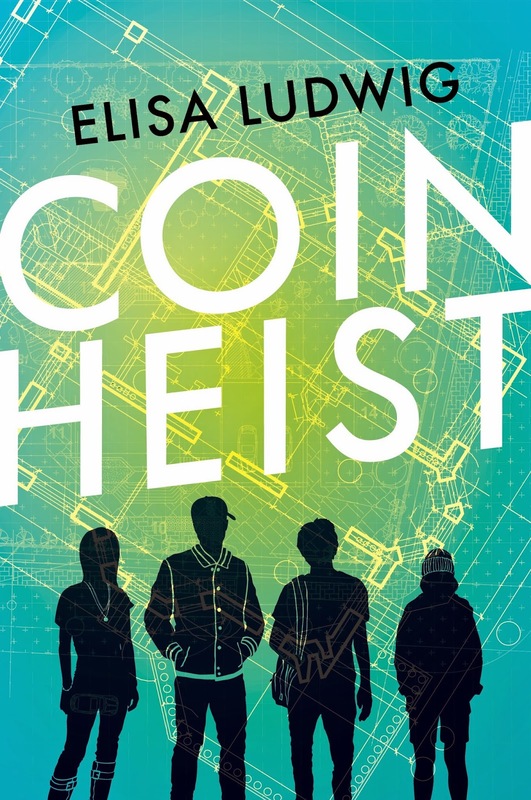 NEW YORK (Spring 2014) –The Breakfast Club meets Ocean’s Eleven in COIN HEIST (6/10/14), a fast-paced, thriller for young adults by Elisa Ludwig, the acclaimed writer of Pretty Sly and Pretty Crooked. The last place you’d expect to find a team of criminals is at a prestigious Philadelphia prep school. But on a class trip to the U.S. Mint—which prints a million new coins every 30 minutes—an overlooked security flaw becomes far too tempting for a small group of students to ignore. United by dire circumstances, these unlikely allies—the slacker, the nerd, the athlete, and the “perfect” student—band together to attempt the impossible: rob the U.S. Mint. The diverse crew is forced to confront their true beliefs about each other and themselves as they do the wrong thing for the right reasons. Told from the revolving perspectives of four teens, each with their own motive for committing a crime that could change all of their lives for the better—that is, if they can pull it off. Free period. In the library. A bunch of library books spread out around the table in front of me. Yeah, I couldn’t believe it, either, but for once I was enjoying doing research. The irony. If only my dad realized that it wasn’t all his lectures but his colossal eff-up was the thing that finally inspired me to sit in the library and do research. That and Dianne. I’d looked into it and there was no case for the kitchen staff. If the school was in this kind of deep financial doo-doo, even the union couldn’t help Dianne. Thankfully there was a Plan A. Apparently, there were some serious errors going on in 1983 with the Roosevelt dimes—no mint marks, two years running. Another option was the Lincoln double ear, a penny where the Lincoln head had an extra lobe due to a two-timing die strike. Pretty hot, but it was only worth $250, and that was for the very best examples. A 1950 S over D dime could fetch $500 and up. There was a Wisconsin state quarter with the misplaced leaf (it could be either high or low, according to The Frohman’s Field Guide to Coin Collecting). Certified, in-perfect-condition versions went for $1500. Not bad. Still, we had to think bigger if we wanted to do this right. An error coin to end all error coins. Someone had to have made a mistake that brought in the megabucks. An error coin. I had to admit. Dakota’s idea was kinda brilliant. I wish I’d been smart enough to think of it myself. Of course, now she was calling all the meetings, taking notes in code on her phone, and checking in on everyone’s progress through regular texts. So far, we knew that Alice was going to go into the Mint as a tourist over the weekend to plant her hacking device in a low-visibility outlet—a utility closet or a corner somewhere. At home, she would run commands from her computer and analyze the system’s weak points. Once I had the right design picked out and completed, she’d tunnel through the Mint system firewall, scan the design in and basically trick the system into making our coins on a predetermined date. That part was well figured out, but we’d have to do some more recon to determine when and how to get into the building to pick up our stash. And then I had to come up with a way to fence our counterfeit goods. Alice insisted that we had to slowly trickle them into the market—selling them all at once would diminish their value, she said. I said I would work on it, and I planned to, just as soon as I got the design squared away. I didn’t have the best criminal connections—I really only knew a few weed dealers, but I figured someone would know someone who knew someone. After we fenced the coins, we’d donate the money back through an anonymous Annual Fund contribution. People made anonymous donations all the time. Dakota had even given our mission a name: Operation EagleFly, after the Mint mascot. She said all criminal plots needed a name. Whatever. It was annoying, but I was willing to put up with Dakota in all her Dakota-ness if it meant we could really do this thing. Still, I could tell Alice was more than a little bugged out by Dakota’s presence on the team. She seemed to have some kind of beef with Dakota that I didn’t get. And Benny was Benny—he never seemed to show much emotion, so his opinion on the matter was anyone’s guess. He annoyed me, too, sometimes. Everyone listened to him whenever he decided to open his mouth, like what he had to say was automatically going to be deep or smart. I got the feeling he thought he was better than the rest of us, like growing up in the hood made him more real or something. But we needed him to make the access IDs for us and help us get a vehicle to make this work. No one said we all had to be best friends. We just had to get this done. My startle reflex had me slamming the book shut with a bang, almost capturing a set of fingers in the process. Zack’s fingers, it turned out. He jumped up and jogged over to the window, then walked back with a lazy smile on his face, his dark hair flopping over his eyes. “Had to make sure the sky wasn’t falling,” Zack said. “I have been known to do a little homework from time to time, you know.” For some reason I felt myself getting worked up, even though it was defending a flat-out lie. I wasn’t doing an extra credit project, and Zack knew it. But Zack didn’t know that I’d gotten that A on the coin drawing, or that it had kinda made my day. My month, really. I couldn’t believe it—people liked Rankin’s class because Rankin was cool, but everyone knew he never gave As. I looked at that red letter over and over, and I could almost imagine, for a minute, what it would be like to actually work hard and get good grades, like, as a regular routine. Of course, the reality was it was never gonna happen. It was only because I needed an excuse not to visit my dad again that I’d even bothered to finish and turn in the assignment. “Not in public, though. And not with, like, books.” Zack slumped down in a chair across from me. “Did you get the space yet?” A few days before, he’d emailed me a link to a place and asked me to drop off a deposit for five hundred dollars to reserve it, which of course I'd ignored. I still had no way of coming up with the cash, which to them was one week's allowance, but for me might as well have been two million bucks. I figured if I ignored their request long enough, they’d eventually forget. That was the way things always went with Mixed Metaphors. We were dysfunctional, yeah, but it worked for us. There was no money to front. But of course Zack, whose parents were both surgeons, wouldn’t get that. He would always have someone to help him out, no matter how bad he messed up. It was easy to be laid back when you had a trust fund. “We can't do that.” There was no way in hell I was going to let the Uh-Ums take our gig. They barely knew three chords, let alone anything about real music. 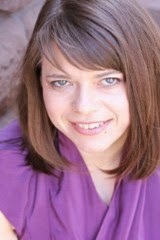 The only reason they were popular around school was because their singer was Allison Stadtler, and she was hot. We needed to practice. We only had a month left until prom. The thing was, I was busy. I'd promised the others I’d scope out Rankin’s office tomorrow morning to try to find the temporary ID he'd used at the Mint. Benny said he could make a copy of it for us to use when we wanted to go pick up the coins. I had planned to do it before Rankin got to school, so I really didn’t have time to go to the practice space. “Why were they asking you? They know you’re in a band,” I said, narrowing my eyes. “They play reggae.” Which was ridiculous in and of itself. “What?” Now he’d gone and dropped the bomb. I didn’t care about Chaddie but I couldn’t lose Zack to those idiots. I felt myself scrambling. I had to stop this. “We’re not breaking up. Look. The reason I haven’t gotten the space is I’m broke. It wasn’t just the school. My dad lost everything.” I hadn’t wanted to admit that to anyone, especially since all this time I’d worked so hard to seem like a real Friendian. Now Zack knew the truth, and he saw how upset I was. I almost felt like crying. “I’ll get the space.” Even as I promised him, though, I knew I’d never be able to pull it off. It just wasn’t doable. We both heard some dudes laughing then, and we looked up. Arno and Dylan were in the corner mocking us, Arno playing me with a sad look on his face. “You homos having a fight?” Dylan called out when he saw us looking. He was joking, so I forced a laugh. “See ya, sucker,” I said. I watched him go, feeling uneasy. Without Mixed Metaphors, I had nothing. Well, maybe not nothing. There was Operation EagleFly to think about. At least with that crew, I had an important role to play. If you have what it takes to be a leader, I heard my dad saying. When Zack was gone, I opened up the book again. There it was. The answer. The 2009 American Samoa quarter. For one thing, the date was perfect, fitting Alice and Dakota’s stipulation for a recent example, so the metals would match what the Mint uses now. Close enough that an expert wouldn’t be able to tell our version from the real error coin. The error was doable, too. A missing motto: “Samoa, God is First.” They were now selling for $205,000 per. I got out my phone and did a quick calculation. That meant we’d only need two hundred and forty-three coins or so. A quick job, timewise. And that was only—and here I did some more figuring on my phone—six rolls of quarters, which would weigh three pounds. I could fit that shiz in my shoes if I had to. “Ladies and gentleman, we have a winner,” I murmured.